Covering cities and countryside from Land's End to John O'Groats, the 71 cards feature natural and manmade landmarks, traditonal foods, crafts and industries, native animals and famous people. 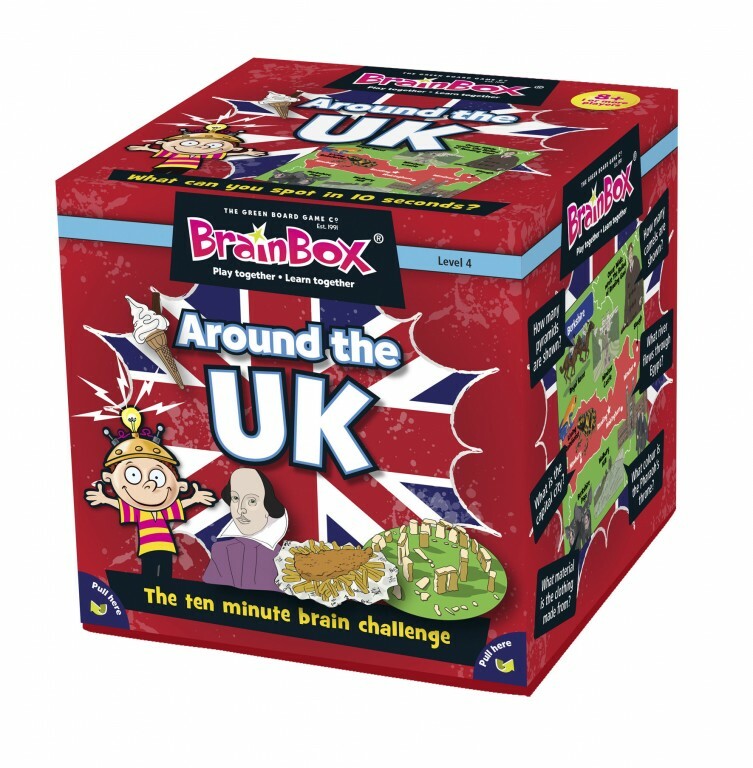 The object of the game is to study a card for 10 seconds and then answer a question based on the roll of a die. If the question is answered correctly, the card is kept, and the person with the most number of cards after 5 or 10 minutes is the winner. 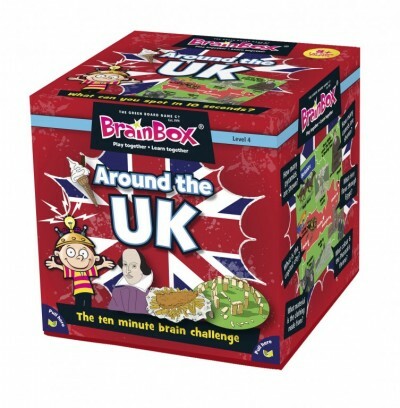 Made from a minimum of 70% recycled material and designed in the UK, the BrainBox range is fabulous fun.